Visitor opening times: Open during day light hours, generally from 9am to about 5pm. Service times: see the Services page. Note: for information on baptisms, weddings, funerals or burials please see Special Services. Known as the “barn of Kent” for its enormous nave span, St Michael Smarden is well worth a stop if you are visiting nearby Sissinghurst Castle Garden. The wall paintings on the east wall either side of the chancel date from the early 20th century. Many of the walls would have had medieval wall paintings, used as visual aids for those who could not read. They were removed or overpainted during the Reformation. The rood-loft stairs, still in excellent condition, would once have led to the top of a rood screen that separated worshippers from the clergy, above which candles were lit before carved figures of saints. Medieval screens were destroyed across the country during the 16th century when the country was convulsed by religious dissent and persecution. Smarden’s rood screen, erected in 1508, was whitewashed over in 1548, then taken down, re-erected in 1555 and finally removed in 1560. 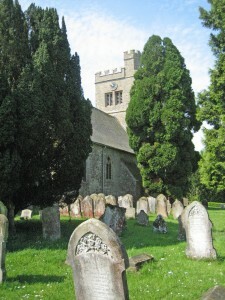 Parts of it remained in place until 1869. Contributing to the special atmosphere of this church is its uniquely wide nave, which has earned it the title of ‘the Barn of Kent’. The roofing challenge presented by the width of the nave is solved with an uncommon design of intersecting timbers, called ‘scissor-beam’. This is used on a smaller scale in the chancel. The vestry and adjoining boiler house were once one room which was added on in 1814 to make a school. Today, Sunday-school children use the open area at the back of the church where stands a rocking horse, given to them in memory of Daisy May Stevenson. 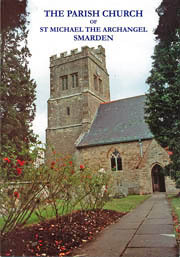 A souvenir booklet of the church is available.